Matte Black Apple iPhone 7 Plus Paint Chips Easily? "Go get the Matte Black variant. Jet Black scratches easily." That's what I'd always tell my friends whenever they'd ask me which of the two exclusive colors of the Apple iPhone 7 or 7 Plus they should get with their Smart Postpaid plans. And why not? I mean, from the get go, we already knew that it doesn't take much effort to scratch the Jet Black version -- thanks to all those videos on Youtube. One wrong swipe on a rough cloth and that's it. On top of that, while it looks more sleek and eye-catching, Jet Black is much more of a fingerprint and smudge magnet compared to the Matte variant. So I'd often say, "Jet Black is just a tad too delicate. Matte Black is more resilient to the knocks and bumps of daily use." Fast forward to today, however, I myself am starting to doubt the second half of that statement. You see, I recently saw this post in the Apple Communities where a number of Matte Black iPhone 7 Plus owners are complaining that the paint on their precious handset easily chips! To quote one of them, "I have been using iPhone 7 Plus Matte Black for about one month with fully covered by a TPU casing and full screen tempered glass most of the time. I just open the casing once a week to wipe the dust off from the phone. Until yesterday when I take off the casing, and notice there is something at the edge of the phone body next to UP Volume button. At first I thought it just the dust. I try to wipe it using microfibre cloth as usual. Until I look closely it is the metal part of the body. 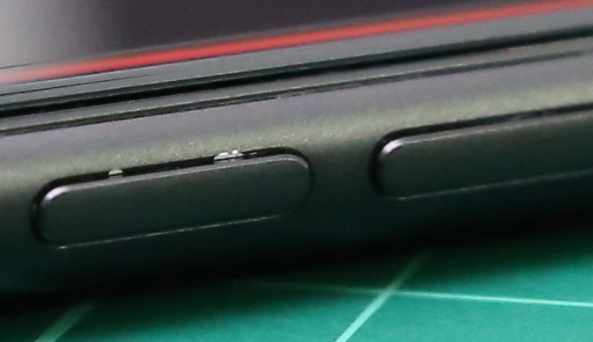 It seems that the black anodised paint had been chipped off from the phone body. I am really disappointed with what happen to the phone because I was using it very careful." And what's even more disappointing is that, after chatting with Apple Customer Support, the owner found out that cosmetic damage is not covered by Apple Warranty, which means that he simply had to live with that nasty chip on this beloved device. I know, right? For such an expensive gadget, the iPhone should definitely give owners peace of mind. So what's up with that, Apple? Anyway, as someone who used to advocate for the Matte Black variant, I'm sharing this information with you guys so you can consider it if you're just about to purchase an iPhone 7 or 7 Plus. (Though, I wonder if the 'older' colors are actually superior in this regard.) Or if you already own a Matte Black version, I reckon being aware of this might make you want to take care of your unit better.